What is the best ski resort in the world? There are many resorts to choose from, whether it's one with challenging runs, beautiful snowy vistas or the comforts of an upscale inn and resort nightlife. Located in British Columbia, Canada, this luxury resort has been rated one of the top ten ski resorts in the world by Conde Nast Traveler. The skiing in Whistler is so great it was the site of the 2010 Winter Olympics. There are over 8,100 acres with a vertical rise of over 5,200 feet available for skiers and this is the only resort in North America where you can ski or ride on a glacier. Val d'Isère in France is another top ten resort in one of the most picturesque areas of Europe. You'll love the resort's charming village chalets nestled under the mountains. 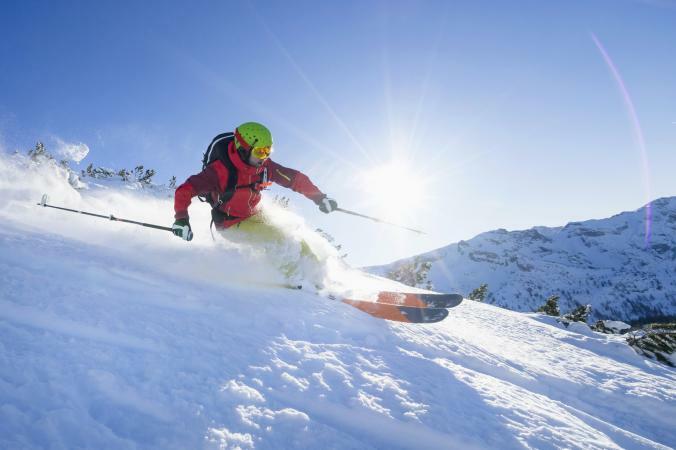 The skiing attracts more advanced levels such as beloved French gold medalist Jean-Claude Killy, but there are many family-friendly ski slopes and parks for beginners to enjoy. Stowe, Vermont has the largest vertical drop in the New England area and offers two ski areas: Mount Mansfield and Spruce Peak. Mount Mansfield is referred to as the "Ski Capital of the East." Considered one of the top ski resorts in the U.S., Stowe received 4.5 out of 5 stars from user reviews on Trip Advisor. Aside from all levels of hills for skiers, the town of Stowe is loved for its foodie nightspots and lovely atmosphere. The High Alpine in Breckenridge, Colorado provides amazing skiing for all levels of skiers. There are five mountain peaks and the resort has the highest chairlift found in North America. Skiers also enjoy the Gold Runner Coaster, a winter roller coaster that runs 2,500 feet. In addition to the skiing, the town is the largest historic district in the state and visitors can enjoy the arts district, charming shops and restaurants and the Victorian-style buildings. Val Thorens was voted best ski resort by CNN Travel. Located in the stunning French Alps, Val Thorens is the highest resort in Europe and also in the 3 Vallées, the largest ski area worldwide. In addition to runs to accommodate any style skier, the resort boasts the "most beautiful view in the Alps," the Glacier de Péclet, where skiers can stop to marvel at the panoramic view of over 100 summits across three countries. Val Thorens is also the home of La Tyrolienne, the world's highest zip line. Girdwood, Alaska is the home of Alyeska, with a vertical rise of 3,200 feet and 1,610 acres for skiers. The area receives over 500 inches of snowfall annually. Alyeska was named one of the 50 best ski resorts in North America by Outside and one of the top ten by Forbes. The area attracts more advanced level skiers but beginners can still find runs for their skill level. Aside from the incredible Alaskan wilderness views, visitors can marvel at the aurora borealis lights in the evenings. Steamboat Springs in Colorado was named Family Ski Resort of the Year. There are even dog-friendly options if you want to bring the "whole" family. The resort has 2,965 acres of skiing across a full mountain range and caters to all skill levels. There are also five trails with night skiing featuring lighting along the routes for an unforgettable experience. The town has a cowboy Western vibe to it that children and adults will love. Voted one of the top ten ski resorts in the world, Kitzbühel in Austria is known as the "Pearl of the Alps." It's the site of the famous Hahnenkamm World Cup Downhill ski race and although this is a very difficult event, you can find trails for beginners and intermediate skiers. The town has a medieval fairy tale look to it and there are many nightlife options catering to an upscale crowd. There are almost 200 days of snow each year and over 100 miles of trails. Snow Magazine named Cortina d'Ampezzo in Italy to be one of the top ten ski resorts in the world. It was the site of the 1956 Winter Olympics and the current Women's World Cup. The resort is known not only for its skiing but for its Italian culture as well. The area is part of the Dolomiti Superski containing over 745 miles of slopes that visitors can access with one pass. Advanced skiers will find much to enjoy and all levels will love the incredible scenery. Located on the island of Hokkaido in Japan, Niseko gets a user rating of 4 out of 5 as well as "best skiing in Japan" by Powderhounds. It's the largest ski resort in Japan with an international clientele and offers family-friendly activities. The area receives a large annual amount of snowfall and caters to all skill levels.